"Really good location, near to the u-bahn and s-bahn." Have a question for Hotel 103? "Thanks to excellent transport connectivity in the area, getting around Berlin was convenient." 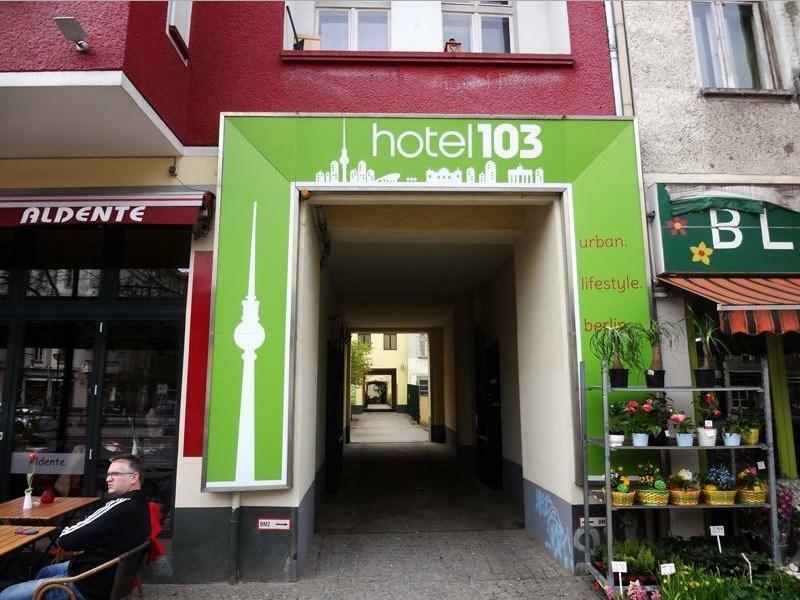 "Staff was friendly and helpful, let us use the WC to wash up because we came earlier than check-in time ;"
Located in the lovely area of Prenzlauer Berg, Hotel 103 enjoys a commanding position in the restaurants, sightseeing, nightlife hub of Berlin. Only 6km from the city center, the hotel's strategic location ensures that guests can quickly and easily reach many local points of interest. Also within easy reach are PAINT SUPPLY Gmbh, Black Dog Comics, Schoenhauser Allee Arcaden. Take advantage of a wealth of unrivaled services and amenities at this Berlin hotel. Guests of the hotel can enjoy on-site features like free Wi-Fi in all rooms, facilities for disabled guests, luggage storage, Wi-Fi in public areas, family room. The ambiance of Hotel 103 is reflected in every guestroom. non smoking rooms, heating, desk, internet access – wireless (charges apply), television are just some of the facilities that can be found throughout the property. The hotel offers fantastic facilities, including children's playground, billiards, garden, to help you unwind after an action-packed day in the city. Discover an engaging blend of professional service and a wide array of features at Hotel 103. "U2-metroline near and friendly staff in hotel." It’s winter time but the room was comfortable and warm. Very clean. Tranquility in the busy city. Friendly staff. Convenient location,5 minute walk to the U and S banh, and quite a number of cafe , kebabs shop , restaurants which are reasonably priced and good. If I ever back to Berlin again, I will book this hotel again. 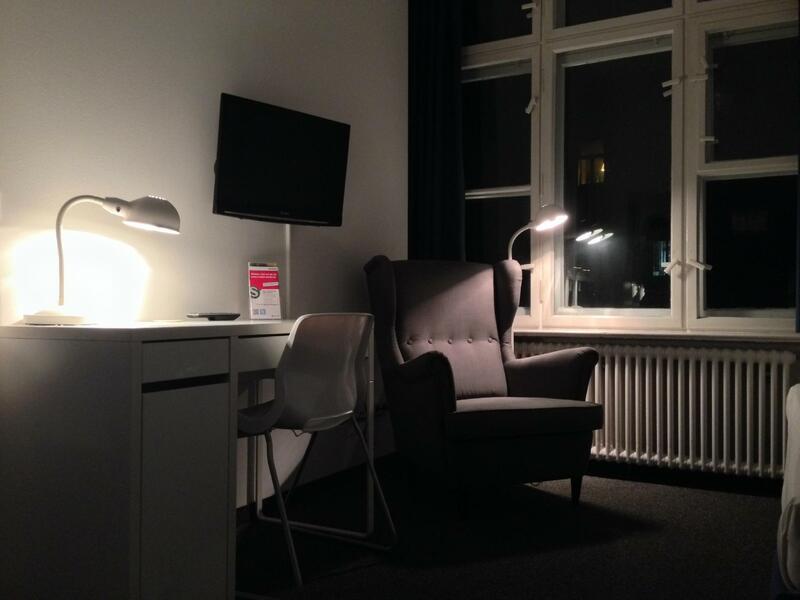 Unless you go with a hostel, you'd be hard pressed to find a better deal than Hotel 103 in Berlin. While there are cheaper places, they lack some of the basics. The staff are very helpful and kind, which stood out among the various places I stayed at in Poland and Germany. Whether getting help to get something sorted in the room, or a chat in the evening at the cozy bar, the staff at Hotel 103 set the bar very high. Thanks to excellent transport connectivity in the area, getting around Berlin was convenient. Similarly, there are a lot of café and kebab options in the area. While it’s an older place, the rooms are clean and housekeeping is very prompt every day. There’s a game room and other family friendly amenities. It has a little garden, that’s nice if you wanna sit outdoors. Wi-Fi though available throughout, is quite slow. So, if you’re looking for great value for money, and a home away from home, I’d absolutely recommend Hotel 103. Special mention to the friendly staff! Amazing and cheap 2 stars hotel, very clean, I've been paying for a single room but they gave me a triple room only for me with my own bathroom, super clean, TV, and very good located (4 stops till Alexanderplatz) If I'm going back to Berlin I will stay for sure in the same hotel. Really good location, near to the u-bahn and s-bahn. Staff was friendly and helpful, let us use the WC to wash up because we came earlier than check-in time ; also let us leave bags at the hotel before check in. Room a little on the small side but toilet was huge. Would recommend to stay! Friendly reception, good service and a good location close to S-Bahn, U-Bahn and trams and busses. The hotel and rooms show their age and could use some maintenance. Beds were nice. All in all, it's functional and for a good price. Pros: Early check-in, big room with 3 x singel bed. Cons: Not provide toolbrush, There is a safe but not provide any key to keep your valuable. Bad WIFI signal. Overall, I will come back to this hotel again. Like their customer services. Very good location and confortable. If you are travelling with a tight budget, this is your place. Rooms are not too big but comfortable, great location, clean and staff is really friendly and helpful. My wife and I stayed in a simple and quiet room. The only missing item was a refrigerator (would have made our life easier since it was a very hot summer in Berlin). The staff was excellent in general, specially Daniel who helped us a lot when we arrived and left. The location is good, in what seems to be a calm area of the city with plenty of restaurants, bakeries, and places to buy drinks. It is close to many public transportation stations (U-, S-Bahn, Tram, bus). A big park (Mauerpark) is close and a nice shopping mall too. Rooms are big. Quiet and relaxed. The only issue was that our booking through Agoda included breakfast, however when we arrived, the hotel had no information about it., so they didn’t honor it. We thought that was misleading. There was everything we needed: nice bed, quiet room, own shower and toilett. U2-metroline near and friendly staff in hotel. We had a most enjoyable stay at this Hotel. Agoda offered a very positive price for staying here compared to others. Very simple hotel har to answer the stars for staff and facilities; not sure if there were any. Room was clean and small. Everything seemed to work very well when I checked in. The food, internet and location were all very good. A great value hotel! The bed was really confortable, the hotel is not noisy and the guys from the help desk/reception were very kind. I have only one thing I could mention as something to improve, and it's the lighting from the corridor to the entrance, maybe add some movement detector to turn up a light when you are walking to the door. Está muy bien ubicado, cerca de metro, tranvía y tren. Cerca hay restaurantes, supermercados, restaurantes,tiendas. Las camas son cómodas y el hotel es muy bonito. El personal es amable. Volvería sin dudarlo.